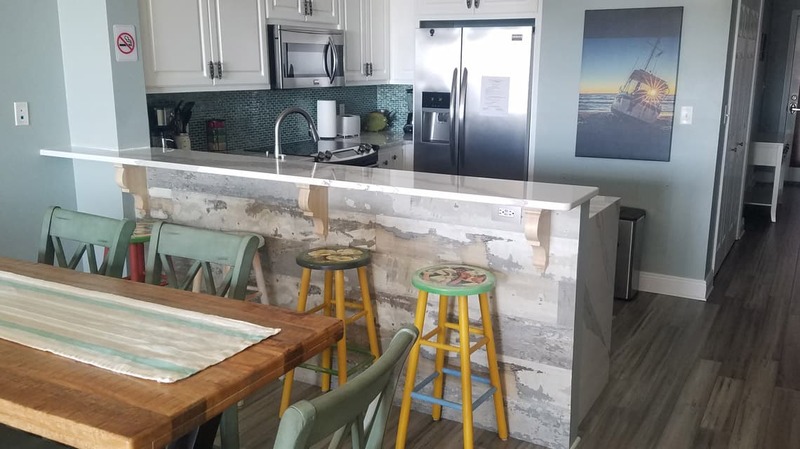 Onvico was given the task of with taking an outdated beach condo in Mexico Beach and modernizing it, bringing parts up to code, and providing a festive feel. 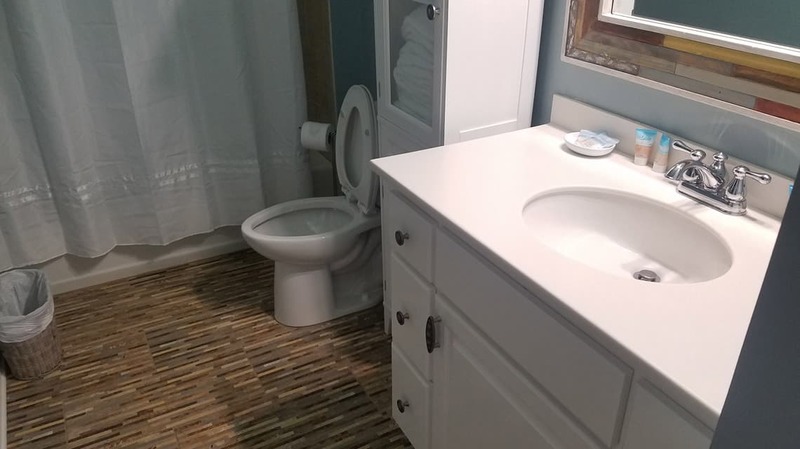 First the remodel started with demolition of the existing tile floors throughout the home. After the demolition floor leveler was applied over the concrete due to the unevenness of the concrete. 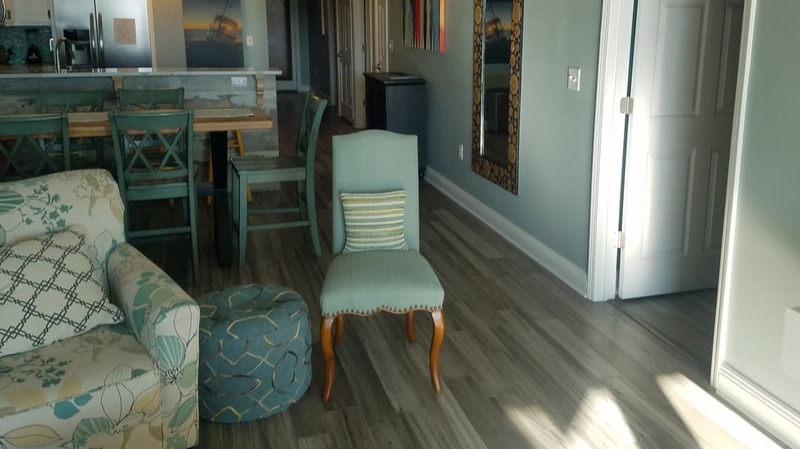 After the leveling tile was installed in the bathrooms and bamboo flooring was installed in the rest of the condo. 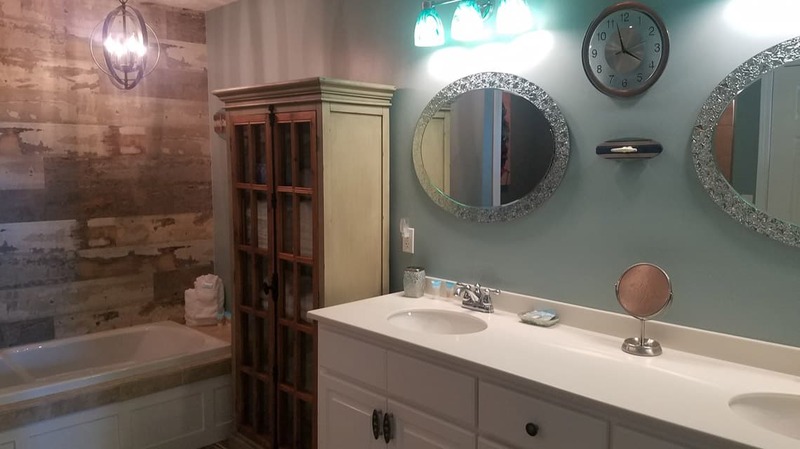 Rather than remove the existing cabinets we only touched the counter tops and backsplash. 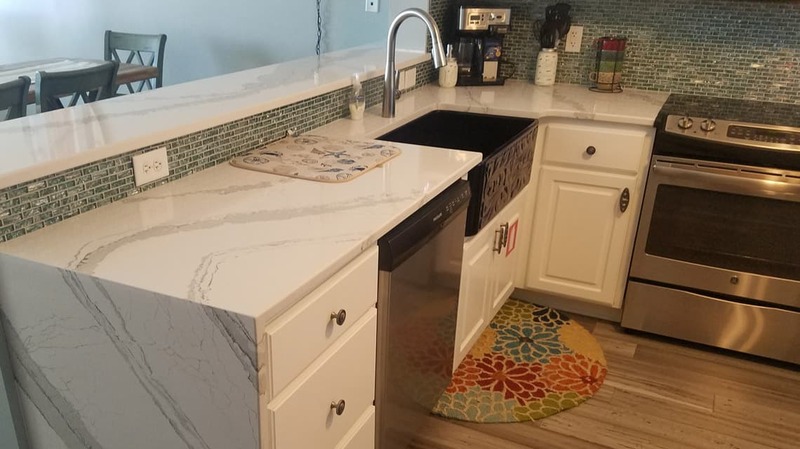 A beautiful waterfall countertop was installed on the existing cabinets.